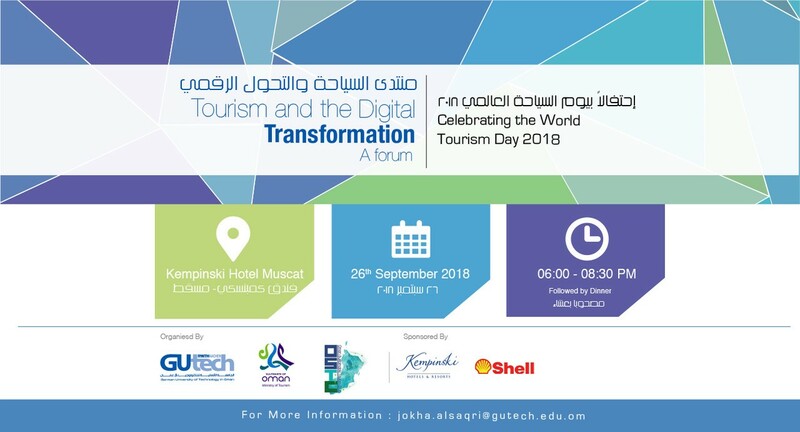 In celebration of the World Tourism Day 2018, the Faculty of Business and Economics at GUtech will be holding a forum on “Tourism and the Digital Transformation” on the 26th of September at the Kempisniki Hotel from 6 – 8:30 PM followed by dinner. 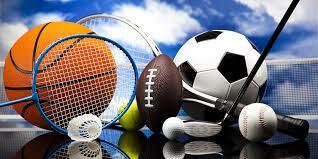 The event is sponsored by Kempinski Hotel and Shell to whom we are very grateful. The forum will present testimonials on how the tourism sector worldwide has been shaped by the Fourth Industrial Revolution. A leading panel of international and national experts will be discussing their recent initiatives in heritage, hospitality, tourism development, marketing and quality assurance in an interactive and concise forum. Technologies are emerging, disrupting and affecting our lives in ways that indicate we are at the beginning of a Fourth Industrial Revolution, a new era in which digitalization builds and impacts societies in new and often unanticipated ways. It is worthwhile considering exactly what kind of shifts we are experiencing and how we can ensure, collectively and individually, that this revolution creates benefits for all. Tourism was one of the first sectors to digitalize business processes on a global scale, bringing flight and hotel booking online to become a digital pioneer. As information and communications technology (ICT) became a global phenomenon, tourism was a consistent early adopter of new technologies and platforms. Digitalization of the tourism sector influenced business and consumer alike and required a complete paradigm shift in the sector. Disintermediation meaning the gradual disappearance of the travel agencies and the move of the tourism sector into a business to consumer model. This might have led to loss of business on one hand, but has on the other created many others. Another interesting development is in the area of the power of the consumer, the wisdom of the crowd has now replaced quality assurance agencies, consumer is no longer interested in how many stars the hotel have but rather on the quantity and quality of reviews on Trip advisor. This and more will be discussed in the Tourism and Digital Transformation Forum. Join us! This event requires registration. Please register using the link below.